We often get phone calls from customers who are having a problem with their alarm system. It may be displaying a fault code or they might be unable to set it properly or it just may be going off for no reason. We always assess the problem over the phone and if the issue requires one we’ll send an engineer out. However, that’s not always necessary. Sometimes it’s an issue that can be resolved by taking the customer through some simple remedial action over the phone and if that’s the case we’ll do what we can to get the issue sorted there and then. So, why fix faults over the phone? We do it because it’s the best thing to do for our customers. It means that they get the problem sorted quickly so that their alarm isn’t out of action until an engineer can get there, they don’t have to wait in for an engineer visit and of course, it saves them the cost of an engineer visit. We don’t make any charge for telephone support so some in the industry may say that we’re missing a trick; we could be making money from an engineer visit or we could, as some of our competitors do, be charging for that telephone support. We don’t agree. We think that being able to help customers in this way is part of the added value that we want to offer. We may not make money from that specific incident but because the customer is happy and has had their problem fixed, we know that they will remain loyal and stay with us for their annual servicing – it’s a win win situation. How can we offer this service? We’re able to offer this because we always have at least one engineer available to take those calls (you can also call into the shop for advice). During office hours we often have several engineers on site and we also have engineers covering the 24 hour service. 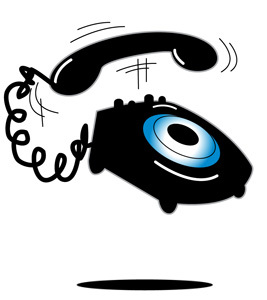 We’ll always attempt to sort these minor problems over the phone for existing customers wherever we possibly can. To those competitors who won’t do that, or charge for the privilege, we look forward to welcoming your customers to our books very soon!